Katie Watson teaches first-year law at the University of Newcastle School of Law. Her doctoral research analysed local and international policies for increasing gender diversity on corporate boards, focusing on the impact of discourse. 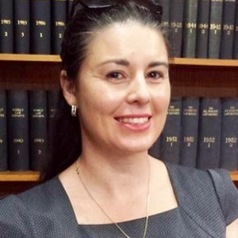 Katie's other research interests include not-for-profit governance, equity in tertiary education and monitoring the limits of administrative power.